Feeding behaviors are solidified early in life. In general, children are wonderful examples of listening to their hunger and satiety cues. Both of my children are great examples. My son is a really big eater in the morning and into lunch time and then has a tendency to pick the rest of the day. While other days, he eats very little. My daughter, on the other hand, eats a small amount at breakfast and then slowly picks up throughout the day. Some days, she seems to eat the amount a grown woman would eat! But I trust she is accurately listening to her own body as she remains active and her weight is following a healthy growth curve. Unfortunately, many parents confuse children when they tell them to eat because it is meal time. 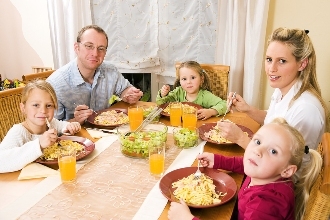 Parents think, “Surely they should be hungry because they haven’t eaten in several hours.” And not only do some parents make children eat, some make them clean their plates. I recently wrote a letter to a well-known, elite school here in Dallas when the mother of one of my pediatric patients (who happens to be a physician) told me they still practice the clean plate club at their school. Really?! I thought everyone has figured out by now that this is not a good thing to do if we want to encourage healthy eating. The clean plate club trains the body to “untrust” its physiological signals to eat or not to eat. This approach may have started back in the Depression when food was scarce, but I see many adult patients that are still trying to unlearn what they were taught by their parents. “Do not get up from this table until your plate is clean.” Or, “If you want that dessert, you better eat everything on that plate.” Dietitians cringe at the thought, although I truly believe parents are very well-intentioned. One of the best food behavior gifts we can give our children is the gift of trusting in their own hunger and fullness cues. I credit my own mother for allowing me and my siblings to make our own decisions to eat or not, and I firmly believe this has been one of the foundations to my healthy relationship with food. We ate as a family at the table without distractions (this is key), which helped us in listening to our individual cues. Because of mom, I can have my favorite food under my nose and if I am not hungry, I have no desire to eat it. 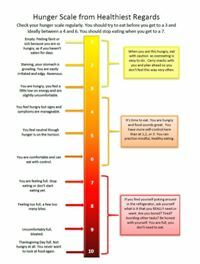 Paula Ryan, MS, author of the Healthiest Regards Blog, posted a great hunger and satiety scale that I wanted to share with readers. It’s one of the best I have seen because it also lists the consequences of waiting too long eat, or not stopping when the body says it has had enough. 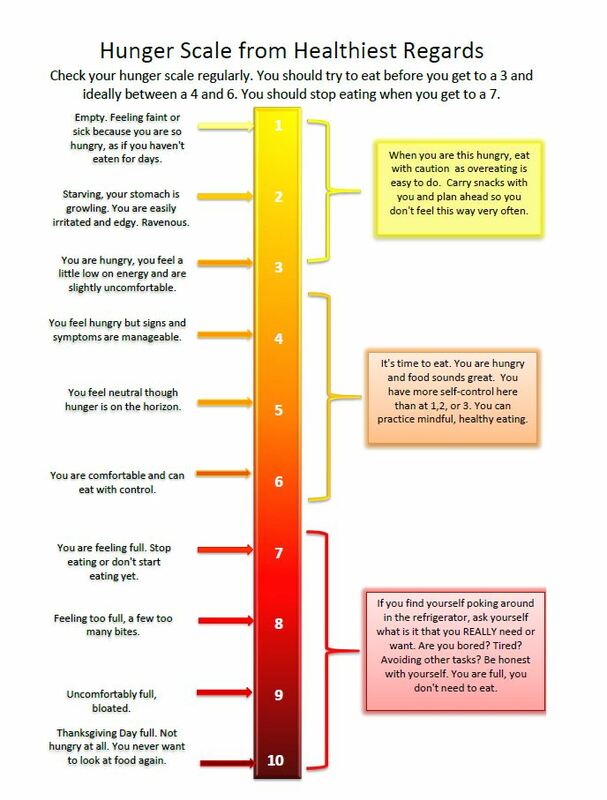 If you find yourself eating in the absence of hunger or waiting way too long to eat, consider printing this scale off and going back to the basics. Many people eat for reasons other than hunger – like when they are stressed, mad or sad. Deal with those issues directly instead of turning to food. 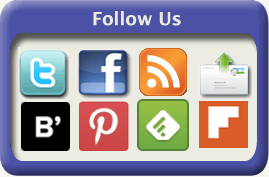 It may be easier said than done for some, but this can be a start to a healthier YOU in 2012. And a healthier you means a healthier family because the children are watching – and doing what you do.